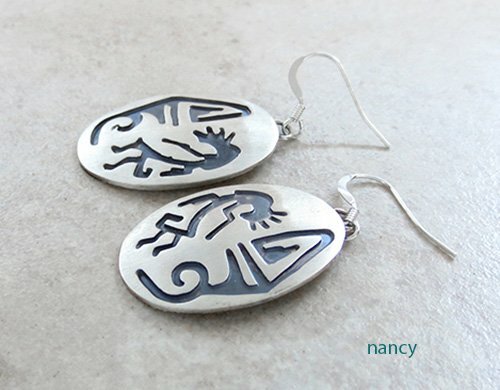 These Navajo made earrings are done in the wonderful Hopi Style. 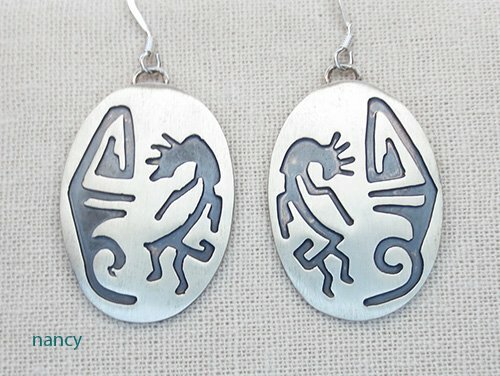 These feature a Kokopelli design. The silver all has a satin finish to it. 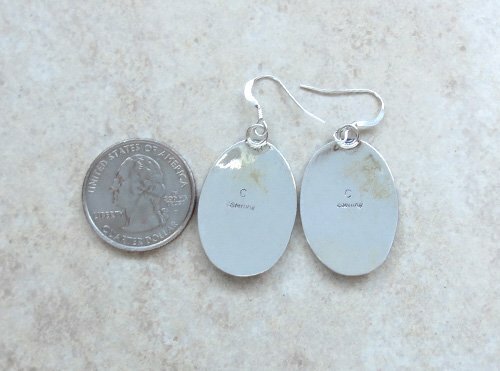 They measure 1 1/8" tall by 3/4" at their widest point. Total weight: 7.7 grams on my scale.